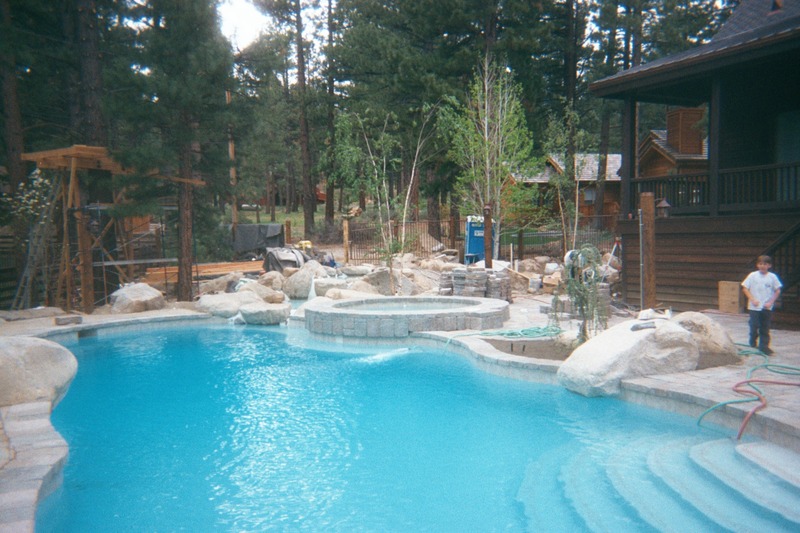 We had always been around during the construction of the pool, The pool-makers would call and ask for back filling, once things became settled in the ground itself. We paid a lot of attention to the future and the last foot or so of back-filling was devoted to putting in gravel and base material. With the budget we had, this place will outlast the house by a century or so. It could well be one of the most compacted surfaces I ever installed. I am positive it is in the 99 percentile of compaction. 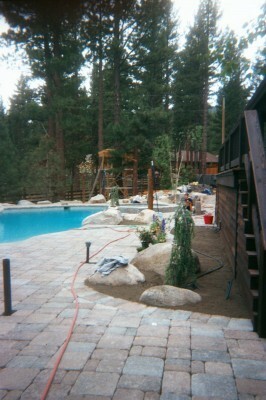 So we began installing pavers around the pool. We attended to drainage issues and found it necessary to install the drain shown protruding in the picture above. The pavers we used were Belgarde’s “Bergerac” Pavers, an expensive but gorgeously-antiqued model, set in a random pattern. They were also an additional inch thick! These big beauties came in at 3 1/4″ thick, providing a huge challenge for not only our cutting apparatii (gas-powered table saw with a diamond blade) but also requiring substantial grinding for the wild number of curves. Talk about labor intensive! Obviously, we had other issues, such as a fire pit shown in the bottom picture. The necessity to hand-shape curving pavers was especially intense when around boulders, as can be seen above. 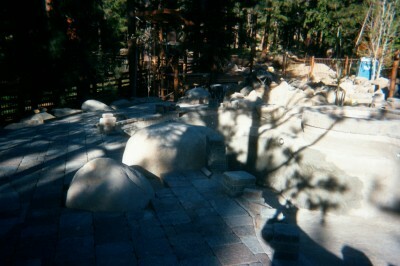 The irregularities don’t seem so drastic when the boulders first get placed. But, wow, they get intense when the finishing starts. I am thinking the project lasted almost 2 months. There was a lot going on in general – a water feature which was designed to appear to be supply the pool water from the front yard and a 130 foot creek, originating at a waterfall out front. We tried to make the area behind the falls by the spa appear to be a bridge just to enhance this idea. At any rate, it was intense but as we neared completion and began planting, we started to see things coming together nicely. 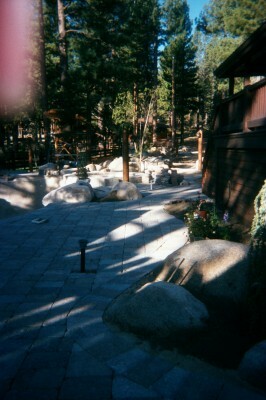 This entry was posted in Patio Design and Installation by Steve. Bookmark the permalink. Delicious project Steve. 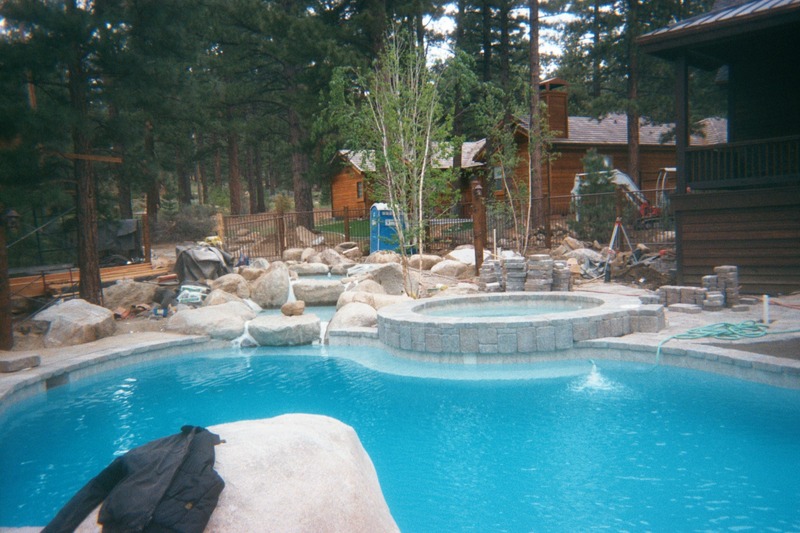 I’m always one to enjoy a little landscaping eye candy and this is a great piece of work. I especially love the rock facade around the spa area – brilliant. Thanks, Stuart. The facade was not easy….we had to suspend those extra heavy pavers in place while the cement beneath them set. For everyone else, Stuart is the man behind Blotanical, my single stop anymore for gardening resources and just the coolest of all gardening blogs. The link is in my Blogroll section. Steve what a gold mine of a blog that I have happened upon!! WOW!! So-o-o-o-o much inspiration! 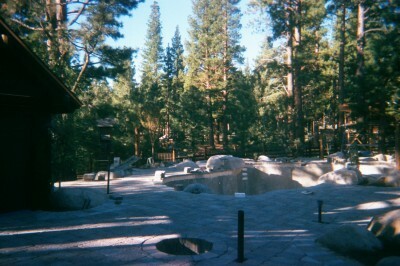 Ahh…if only you lived in Canada..I’d have you here so fast to create one of those ZEN Chinese gardens! WOW! WOW! I will have to bookmark your blog and come by when I’ve more time! Wonderful interesting and informative blog!! Thanks for your wonderful comments. Please come by often! Thanks, Drew. I stopped by you guys’ website too. You do excellent work! I appreciate the comments. You do such great landscaping Steve. 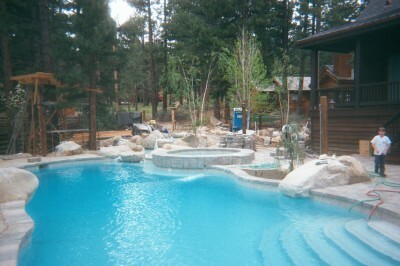 Wonderful pool and I like the way you use natural stones in your designs. Most hardscaping here is so flat and boring – seeing your work makes me want to redo my own small patios – using better quality stones this time. Niels, hey! I work for beer!!!! Pay my way over and we can go looking for stones together! BTW, Like my younger brother, Niels is real rose guy. He has a fabulous blog. Check it out. What is it about pavers. 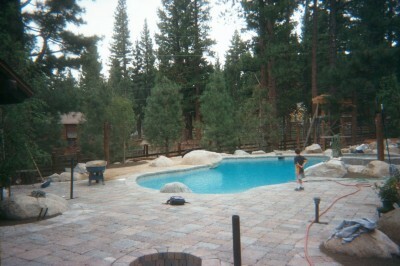 My brother-in-law started with a little bbq patio and now has pretty much paved his entire back yard. OK, jimma. I could be a wise guy and say if you have to ask, what are you doing here, lol. Obviously, I am a believer, I guess is what I am saying. Woah! You are living my dream. 🙂 That is a great great job Steve. It all looks amazing. Really nice craftsmanship. Great use of paving stones.